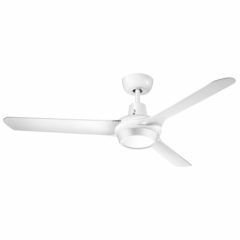 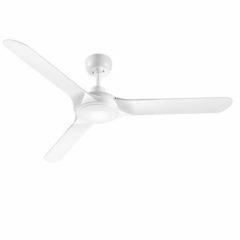 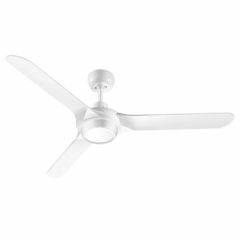 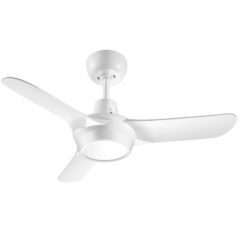 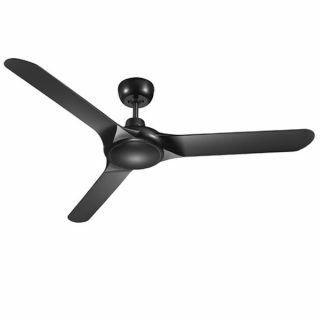 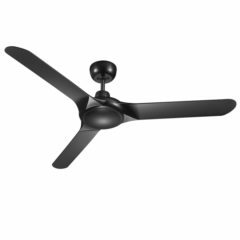 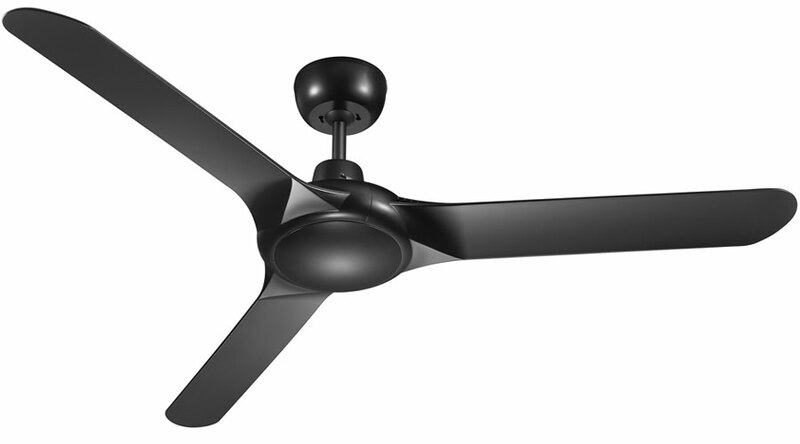 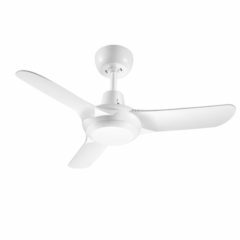 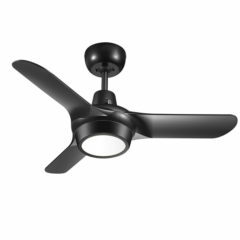 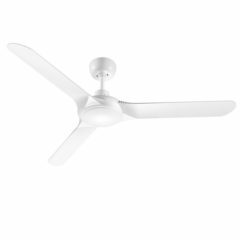 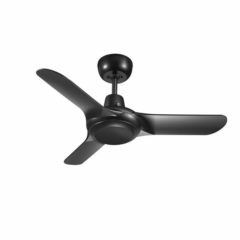 Spyda Ceiling Fan in Matte Black - Wall Control 62"
The Ventair Spyda has a blade span of 62″ and three ABS plastic blades. 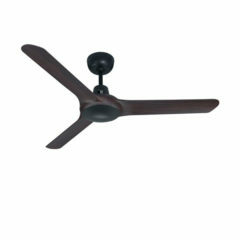 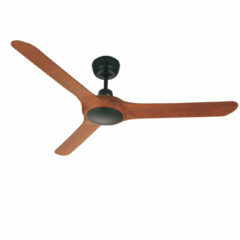 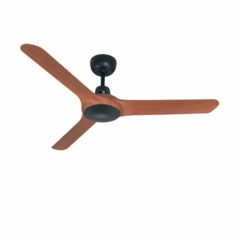 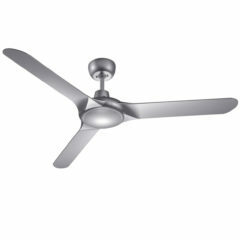 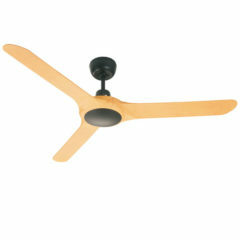 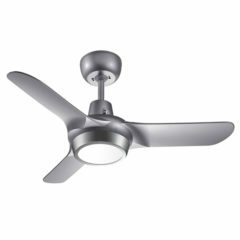 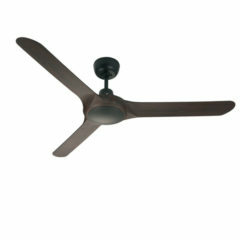 It is a powerful ceiling fan with the latest in true-spin technology reaching maximum wattage of 85w. The fan also has an eco switch to reduce running costs. Thanks to the motor’s Japanese bearings, this fan has a long life expectancy, backed up by a 2 year in home warranty and a further four years on the motor. There are six colours availabe in the Spyda range: white, titanium, matte black, bamboo, teak and walnut. 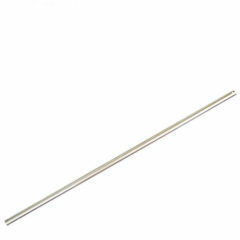 All colours have compatible light kits, however this model’s light kit is expected to arrive later this year.